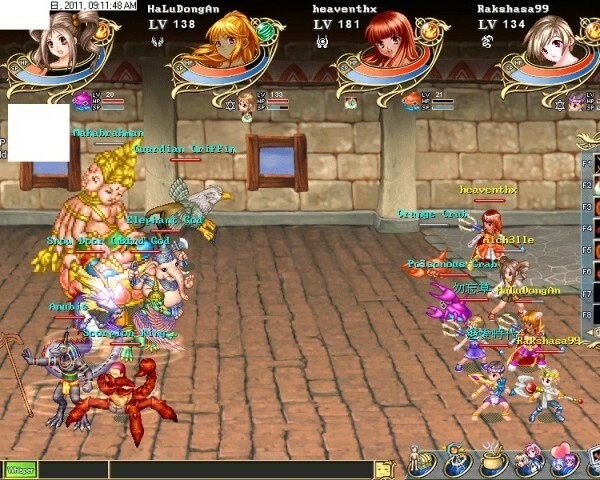 Wonderland Online is a 2D adventure MMORPG with a turn based combat system, based on several ancient South American and pacific Island cultures, the mysterious Mayans, the huge stone statues of Easter Island andmuch more combine to form unique quests filled with fascinating elements that our players will experience throughout the game. A sharp sound split the air and a shudder resounded throughout the ship. Deck chairs overturned, and sunbathers were thrown roughly to the deck amid a tangle of gear, people and personal items. The people aboard were in a state of panic. What could have happened? The well trained crew tried to regain order and, following orders from the Captain, began moving the passengers to the lifeboats. Chaos ensued as passengers realized that their worst fears had been realized…the ship was going down. As they boarded the lifeboats and paddled away, a sense of panic began to overcome them and many passed out from the exertion. Upon awakening they found they had been stranded on an isolated island with nothing and no one else around except for a few shattered remains of the ship and a few boxes of supplies. Interior decoration: Players can obtain a tent by finishing a simple quest. Then you can collect materials to make all kinds of furniture such as bathtubs, desks, beds, computers, and so on. You can decorate your room at your pleasure. More than that, you can bring your tent with you, not only when you are killing monsters but also when you are traveling around the WL world. It will seem like you are always at home all the time. So invite your friends over or just relax for a minute of peace and quiet after a long quest. 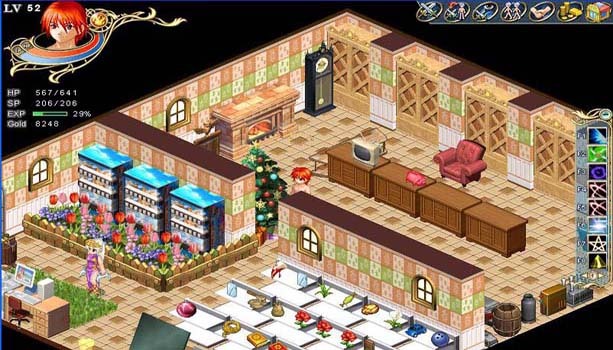 Siege System: Many players have been attracted to the cute characters, good graphics, unprecedented in-game systems and unique quests in Wonderland Online since the game was first announced. Well, we have one more thing for you to get excited about, the Siege System! Friends System: Although the internet is exciting, sometimes you may feel lonely immersed in the virtual world. 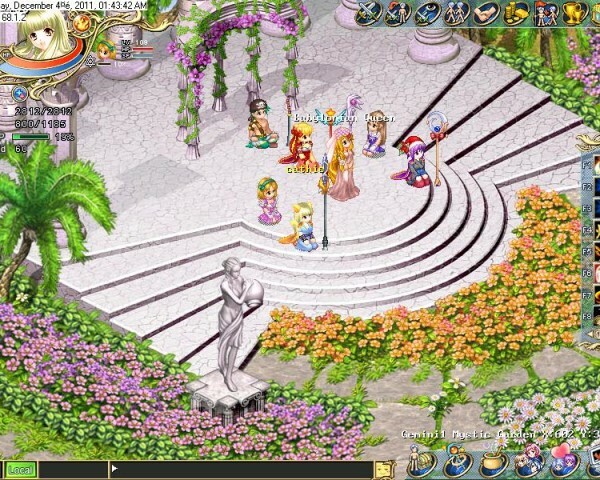 With the unique “Friends System” in Wonderland Online, loneliness will be a thing of the past. The system will help players who are not sociable to make friends, using commonalities like birthdays, blood types, etc. Fishing system: A new system for fishing has been added to the game, because of the special environment in Wonderland. As you know you will probably spawn on an island surrounded by the sea, so making a living by fishing is one of the most reasonable things you could do. Players only need to get a fishing rod, and the amazing thing is that you can obtain fish as well as other rare resources such as gems, fur, ore, logs, and more. In addition, the better rod you use, the better items you will obtain. Express System: At the beginning of the game, you can meet a lovely girl called Evru. If players can answer all her funny questions, they can choose one pet from her four lovely cats and dogs. The difference between this pet and players’ other pets is that it can be put to work as an express envoy. Players can ask this lovely pet to help express ship items, letters or even money when their friends aren’t nearby. The express delivery takes only a few seconds. Ride system: So far, the ride system for Wonderland Online offers more than 100 different pets for players to choose from. Various pets can not only bring a lot of fun to players, but also can do different things depending on what type they are. For instance, a dog can deliver your mail, the pterosaur can enable you to fly freely in the sky, and some offensive pets can help fight against enemies. What kinds of pets can be ridden? All the pets that you are allowed to capture can be ridden. Capture system: Players can obtain pets through capture or trade, but sometimes you need to do certain quests to obtain certain pets. Taking your beloved pets to level up can benefit you a lot, because they will be very helpful when they are at correspondingly high level, and their Intimacy Degree will be increased as well. In a word, players must devote a lot of time and energy to their pets if they want them to be the best pet in the game! But don’t forget that players can only capture a pet whose level is equal to or below their own. Most pets in the game can be captured. Compound system: Adventurous players can try their luck with the Compound System. Even trash can synthesize things beyond your wildest dreams. Manufacture system: Just as its name implies, the manufacture system offers players the chance to manufacture items. Players need to collect materials and then manufacture items on the work platform. In the very beginning, you can manufacture simple items, later as your skill increases, you will be able to manufacture much more complex and rare items. Related Tags: 2D, Download, fantasy, Turn Based.